-Players split into groups of 10. -5 inside the grid, 5 outside. 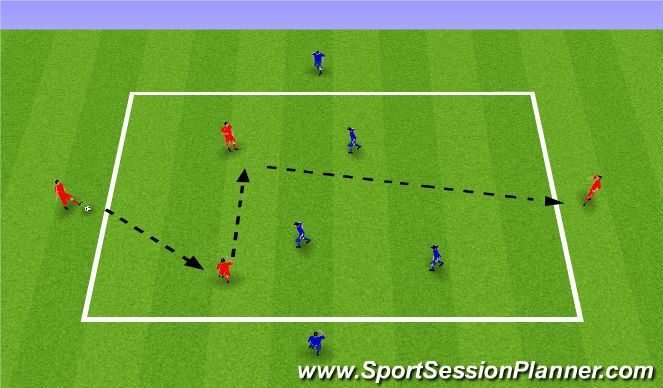 -60 seconds to 2 minutes face up with a player on the outside and just exchange passes. -After this progress to to pass and move. 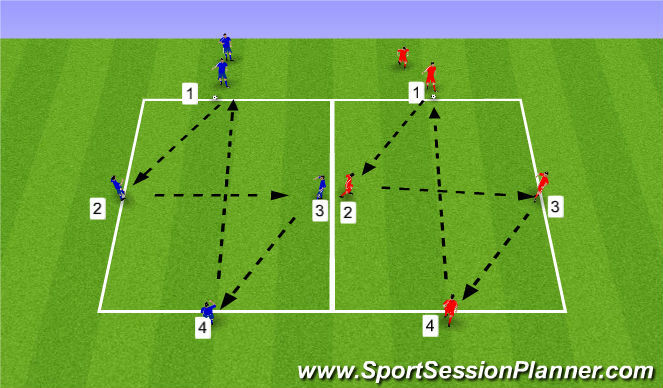 -Exchange passes with your starting partner then move off and and exchange passes with another. -Continue this for 2 minutes then switch players from the outside. -Groups of 5 in each grid. -Play passes in number order and move into that place. -Forward pass, square pass, forward pass, switch. 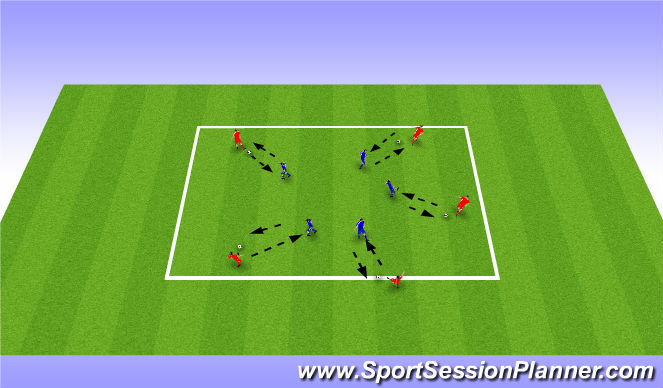 -Players play 3v3 inside the grid. -They must get the ball to their player on the end of the grid. -If succesful they must attempt to get ball to other side. 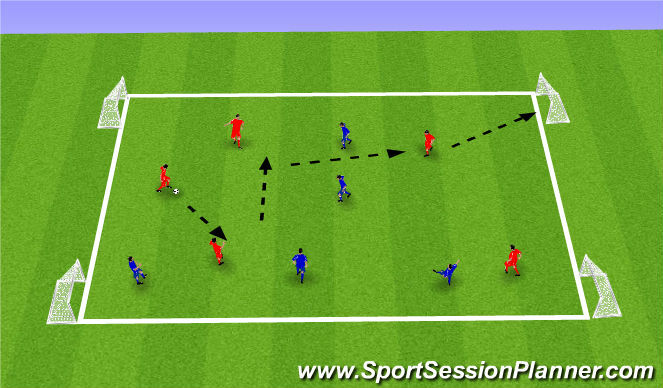 -If opposition win possession then they perform same exercise. 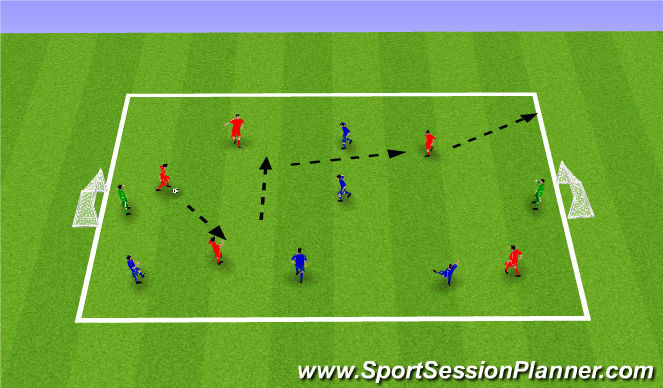 -Play 2 minute periods then switch outside players. -Once all switched change to players swap after every succesful exchange outside. -30x20 grid with four mini goals in corner. 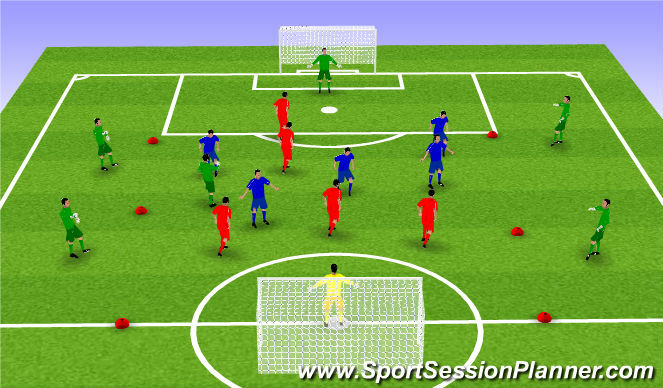 -Play multi directional game by scoring in any goal. -Add conditions as game goes. -Same as previous but 2 Med goals. -Half length pitch width of 18 yard box. -Play 5v5 inside the grid with 1 common player inside and 4 common players outside.